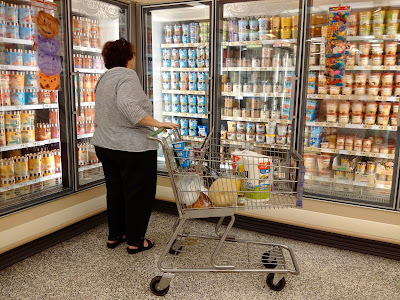 ‎The scene: a non-descript corner of a non-descript Publix grocery store in a non-descript town in South Florida. We had come here to find food and sunblock for a couple of growing teens before getting back to the very real business of either swimming in a pool, or sitting beside said pool with a book in our hands. The paper kind. As the kids debated the relative merits of a couple of packages of cookies that, let's face it, wouldn't win me or my wife any parent-of-the-year awards for generational nutritional excellence - but, hey, it was vacation! 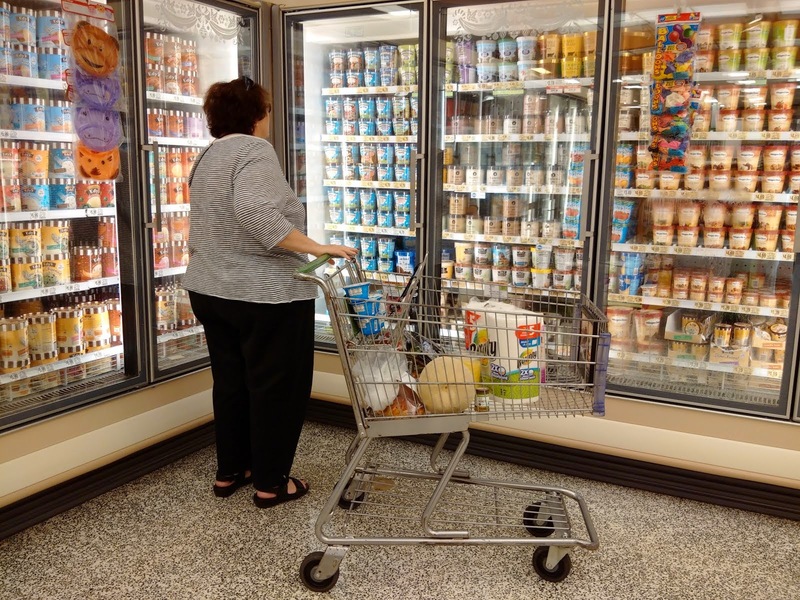 - I wandered over to a relatively quiet corner of the store to admire the vertical frozen food displays. They "do" groceries differently here than they do in Canada. Things are bigger, fancier, with far more choice. You feel like it's more of an event than a chore. It's, dare I say it, kind of fun to explore. I'm sure some of it is simply based on the fact that we're on vacation far from home, but I'll take it any way it comes. The kids are happily chattering away with my wife, and life is good, so who am I to question it? I hadn't brought my camera with me today. Although I had long shlepped my ginormous camera bag with me wherever we went, and never hesitated to pull out my DSLR for an impromptu photo shoot in the strangest of places, this vacation was different. While the camera bag did indeed get packed, it nevertheless stayed put as a pillow most days. Instead, on wanderings like today's grocery run, I flew light, with just a smartphone in my pocket. As I pondered the geometry of the display cases in the corner, I idly pulled my phone out of my pocket and mentally composed the image in my head. Almost as I completed the thought and started swiping the screen to bring the device alive, the lady you see here wandered into the frame. Now, normally I'd wait for her to wander back out of the frame before taking the shot. But by the time this was going on, the kids had settled on their cookie package - I actually think they tossed both of them into the cart - and were preparing to move on. Since I usually play the role of Dawdling Dad, I knew I had mere seconds before someone would come and fetch me so as not to lose me in the crowd. I looked at the scene, scanned to both the left and right and spied even more errant shoppers about to crowd into this once-quiet corner of the store, and realized my original composition needed ‎a quick re-think. The simple lines of an overstuffed display case were now out. The singularity of a stranger pondering her options was in. I needed to shoot fast before ducking back to my family. Up came the BlackBerry (Passport. Amazing camera, by the way. And, yes, I'm writing this entire post on it) and as soon as it focused, I tripped the shutter once, and looked around to make sure I wasn't about to get busted by the supermarket police. Satisfied I got the shot, I popped the phone back into my cargo shorts and fast-walked back to my family. The unknown subject of this little moment in time never even knew I had been there. Does a moment like this deserve to be lavished with this many words or pixels? Probably not. Yet there's something decidedly poignant about living in a world where you can get away with tiny acts of artistic defiance, and where you can quietly brush up against the lives of complete strangers and turn otherwise forgettable snippets of time into things that manage to escape the oblivion of the forgotten everyday. It's another reminder that I really enjoy this being alive thing, and I hope you do, too. I reckon I know exactly what she's thinking - "What the heck am I going to give him today??" "Maybe this is where I left my car keys?"